With over 30 years of experience in the manufacturing and rainscreen cladding industry, we at Sotech are dedicated to providing our clients with high quality service and products. We are proud to proclaim that our QHSE system meets the ISO 14001:2004 Environmental Management System Requirements, and that the QHSE system is independently inspected and accredited to the ISO 9001:2008 Quality Management System Requirements. We are also approved by the LPCB in meeting the OHSAS 18001:2007 Occupational Health and Safety Management System requirements, as it is part of Sotech’s policy to take all possible steps to ensure the health, safety and welfare of all of its employees, and implement the correct processes to maintain this. Working with a manufacturer which you know is ISO quality assured has a range of technological, economic and societal benefits. Adhering to International Standards helps to harmonize technical specifications of products and services in order to break down the barriers to international trade, and ensure the industry runs more efficiently in general. 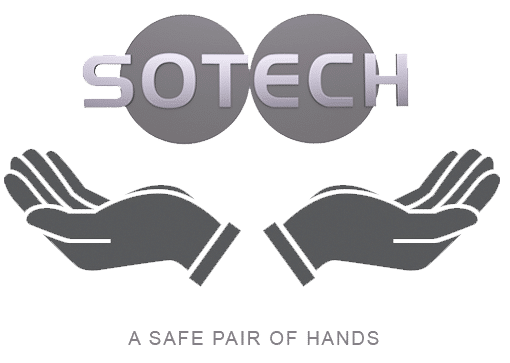 Knowing Sotech conforms to International Standards also helps to reassure our clients that our products are safe, effective and environmentally friendly.